My family has had a rough year, as many of you may know, but one thing that we have discovered is that we couldn’t have made it through without the support from all of our friends and family. From sending presents to my children to phone calls, my family has been blessed in what has been a difficult time. One blessing that we have received is the gift of many meals. A group from the church where we used to attend, but still have many friends there, has been faithfully bringing us dinner every night that my son had a chemotherapy treatment. After spending an exhausting half of a day at the children’s hospital, a hot meal (that we didn’t have to cook ourselves) was more than appreciated! I’ve learned just how wonderful and thoughtful the act of taking someone a meal can be. While I’ve been on the receiving end of meals, my husband and I have also made an effort to be givers of meals. I remember especially struggling with this when I was working outside of the home full time. It was difficult to work all day (until dinner time) and then have a hot meal ready to take to a family. I wanted to do more than hit up a drive through, but I didn’t have time to make something from scratch. That’s when I realized that I was not making full use of two things that would help me help others: my slow cooker and the local deli. 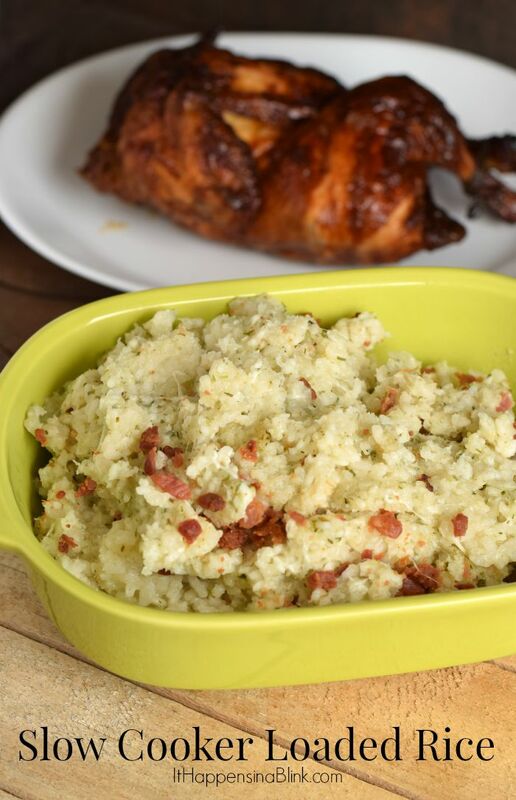 This Slow Cooker Loaded Rice became a favorite dish of mine to pair with a Rotisserie Chicken. It only takes a few hours to prepare in a slow cooker. I named it “Loaded Rice” because it tastes similar to a loaded baked potato (one of my favorite things!). Place the rice, broth, water, and green onion mix in a 7 quart slow cooker. Place them in the slow cooker in that exact order. Lightly stir the mix and the liquid into the spices are spread throughout. 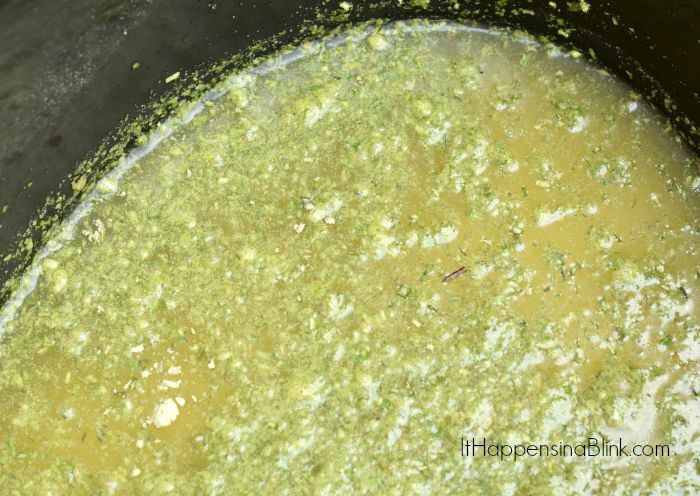 The mixture will look very liquid-filled. This is normal. Set the slow cooker to low for two hours. Check it to make sure most of the water is absorbed. 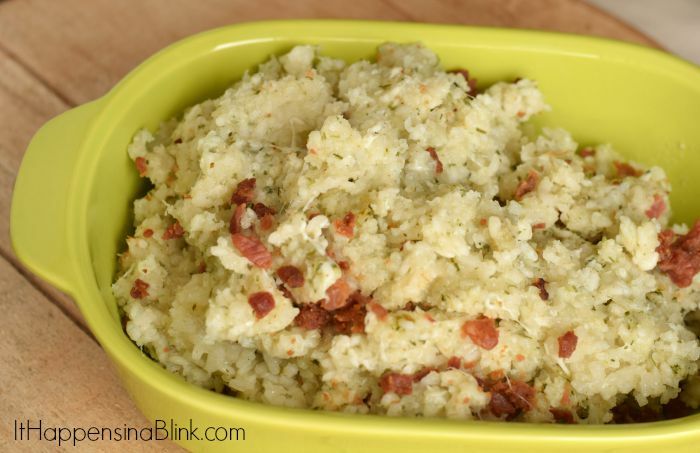 Transfer the rice to a serving platter or a dish for transporting (if taking to a friend). Add the bacon bits and the cheese. Stir thoroughly. Now we have our side- what should our main course be? Chicken, of course! 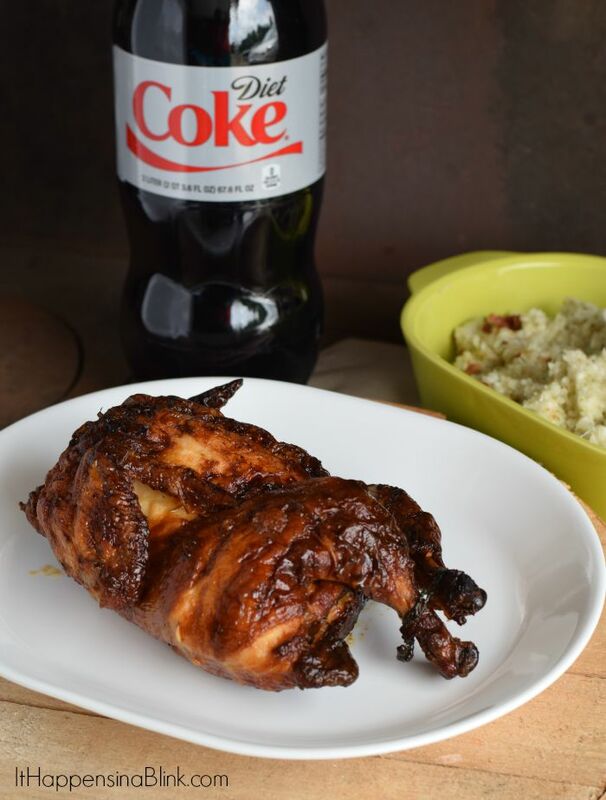 The Marketside fully cooked rotisserie chickens from Walmart are tasty, and it is easy to create a quick meal around them. 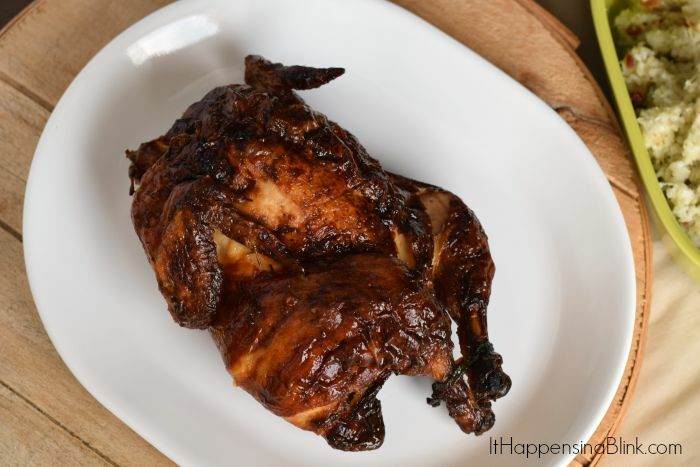 Between the slow cooker and purchasing a fully cooked rotisserie chicken, there is no need to heat up the oven. Grab a drink, and you’re ready to take a meal to a friend! If you prefer, Walmart also carries Marketside Pizzas that can be grilled. These would be nice to buy and cook for a friend or to include with the chicken meal for them to have on hand to cook for themselves later. 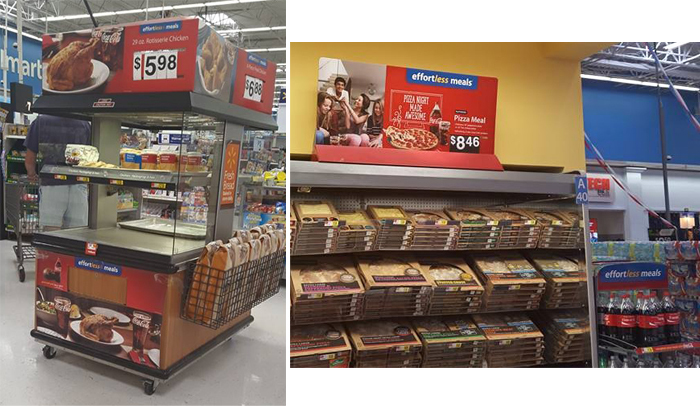 Keep an eye out for the #EffortlessMeals signage and display at Walmart to locate these! 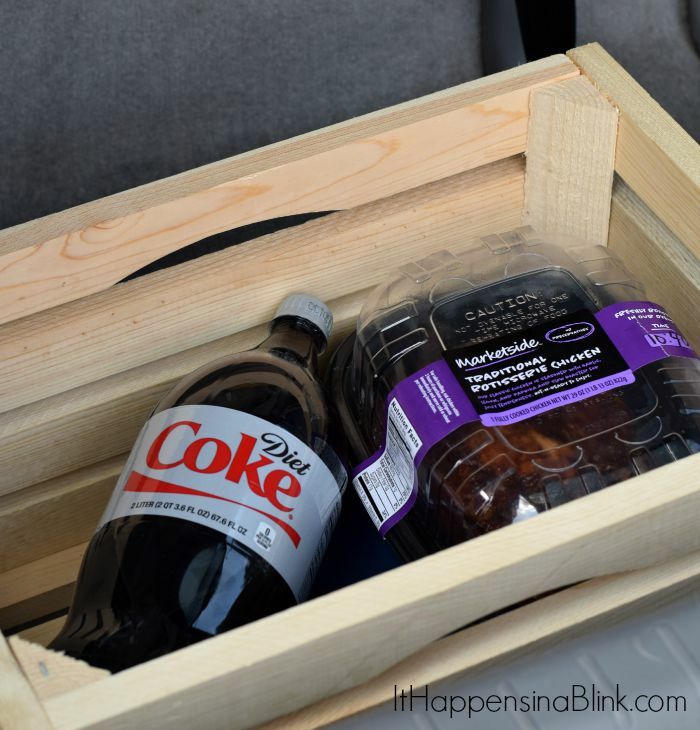 I have a wood crate that I keep close by for taking meals to someone’s home. This makes it easy to carry food and drinks inside the house in one trip. What are your favorite meals to carry to a friend or family member? Yummy! This looks amazing- my whole family would love it!